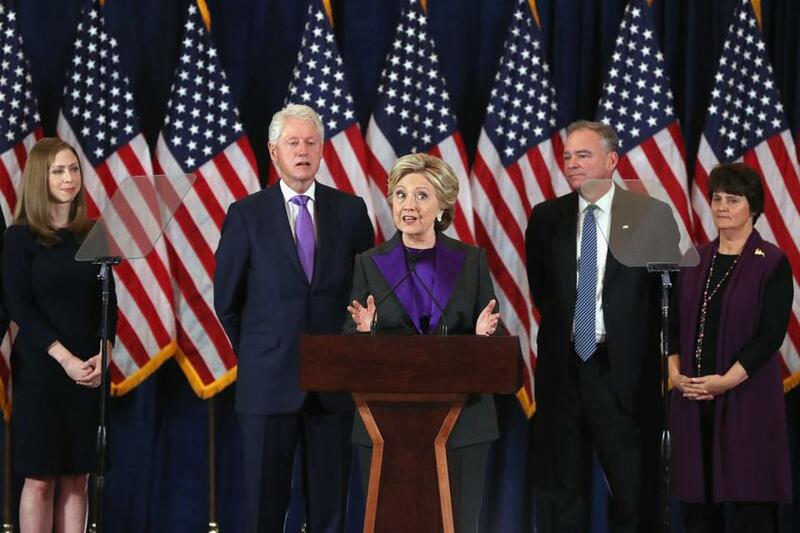 Former Secretary of State Hillary Clinton conceded the presidential election Wednesday morning. WASHINGTON — Emboldened Republicans claimed a mandate Wednesday for President-elect Donald Trump after his astonishing election triumph, and an emotional Hillary Clinton told crestfallen supporters the GOP victor deserved a ‘‘chance to lead.’’ President Barack Obama pledged a smooth transition of power. ‘‘We are now all rooting for his success in uniting and leading the country,’’ the president said of the president-elect, the man who spent years questioning Obama’s birthplace and challenging the legitimacy of his presidency. Obama, who had declared Trump unfit for the presidency, invited him to the White House Thursday. ‘‘He just earned a mandate,’’ Ryan declared. It’s unclear whether Trump, a highly unusual candidate, will embrace many of the traditions of the presidency. He’ll enter the White House owning his own private jet as well as a hotel just blocks away on Pennsylvania Avenue. He never allowed journalists to fly on his plane during the campaign, as is customary for White House nominees. Issues of transparency bubbled up right from the start. On Wednesday evening, Trump aides said they would not bring the press corps to Washington with the president-elect for his meeting with Obama, breaking long-standing protocol.